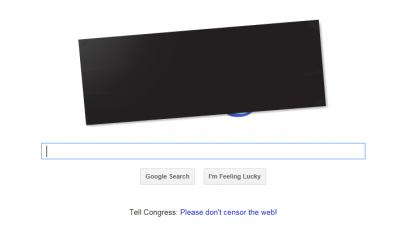 Google, Wikipedia, WordPress, Mozilla, Wired, The Oatmeal, Vimeo, Minecraft, BoingBoing, icanhazcheezburger network sites, Reddit, TwitPic… these are just a handful of the sites that have blacked out or posted protest information on their websites today. We want encourage our readers, clients and colleagues to join us in protest. 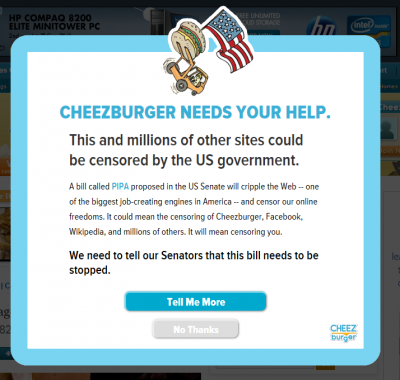 If you are a marketer, Marketing Land has an excellent post by Chris Sherman today on What All Marketers Need to Know about SOPA. 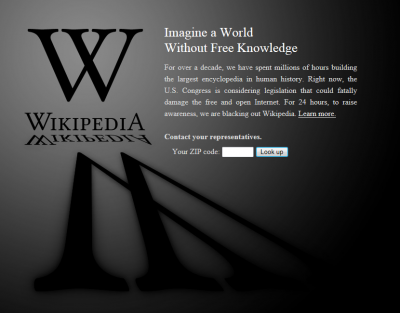 If you are looking for more information on SOPA, we would recommend Wikipedia’s Stop Online Piracy Act page. 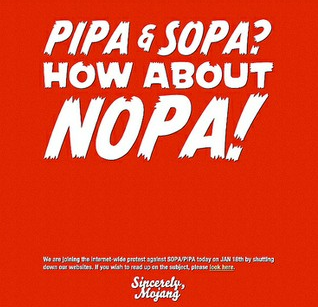 And if you are looking to join the protest, visit SopaStrike.com.